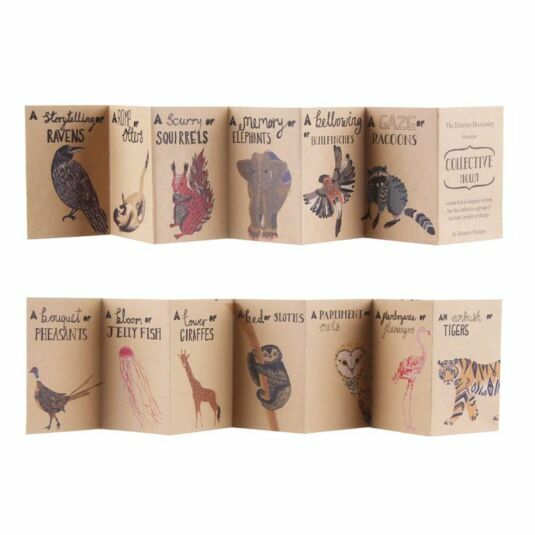 ‘a noun that is singular in form but that refers to a group of animals, people or things’. 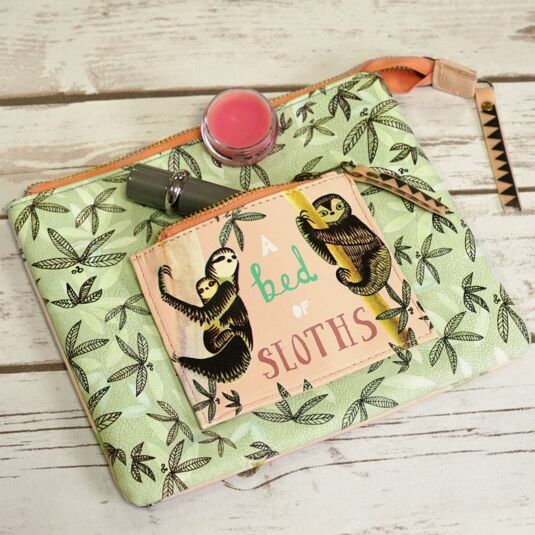 The make up bag is made of textured faux leather in pale pink and mint green, with two coral zippers, one of which is on a handy front pocket. 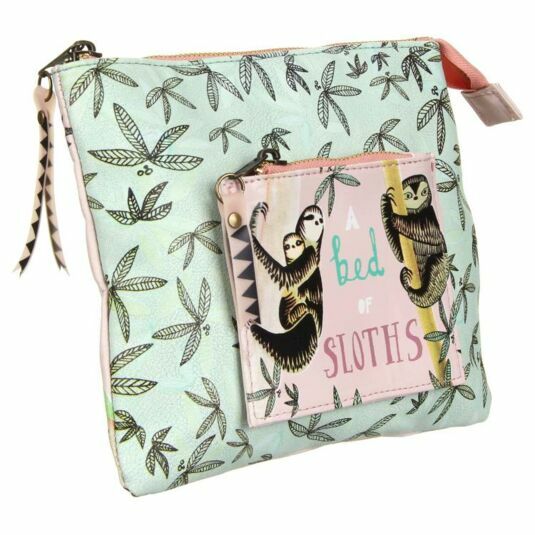 This pocket features images of Sloths in trees, with the words: A bed of SLOTHS. The main bag is decorated with outline drawings of forest leaves. 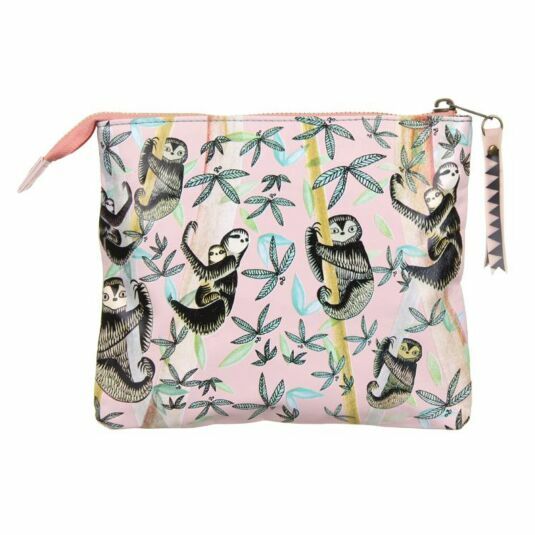 The back of the bag features the delightful design in full, staring single sloths and mothers with babies clinging quietly to leafy tree branches. Inside, the bag is lined in deep blue fabric, decorated with rows of black triangles. There is a further zipped pocket within. 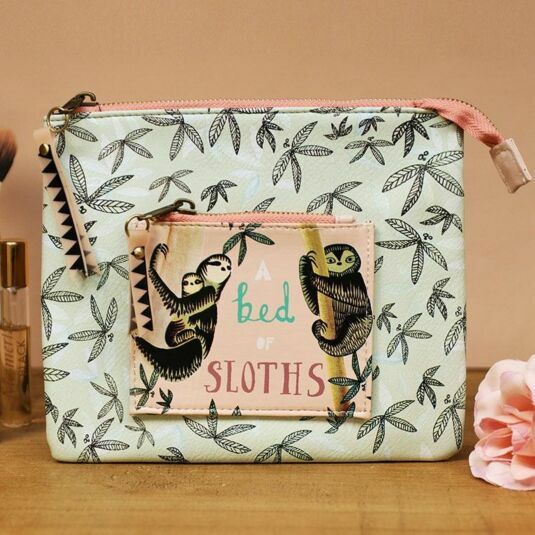 The Sloth has received an unfair press; traditionally associated with laziness, the animal is actually merely one of life’s steadier movers… the slow-moving Sloth is more contemplative and meditative, likely to reflect on events rather than make them happen. The message is, take your time, you will get there, at your own pace! 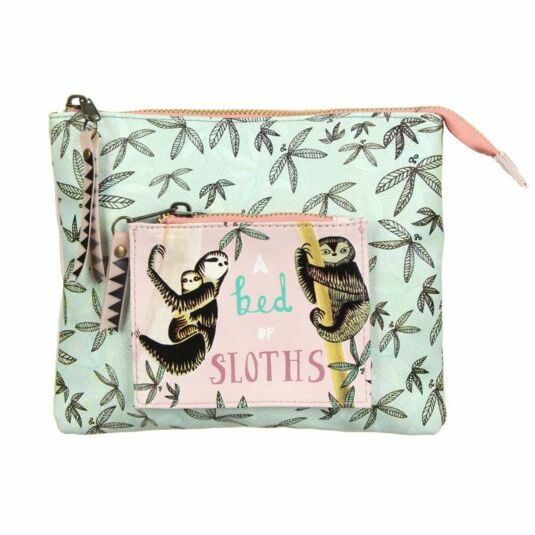 The cosmetic bag is a lovely gift for anyone who likes to linger over their make up routine, particularly teenagers, young women and best friends.